The exhibition by AC associate Rowan Huntley opens Tuesday 8th November before the evening lecture at 7pm. 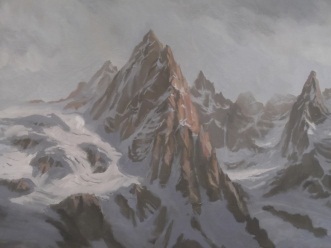 An exhibition of oil paintings of Alpine peaks and mountains by Tim Pollard will open on Tuesday, 9th February 2016 at 6.30pm at the Clubhouse: 55 Charlotte Road, London EC2A 3QF. The exhibition will run until 26th April 2016. 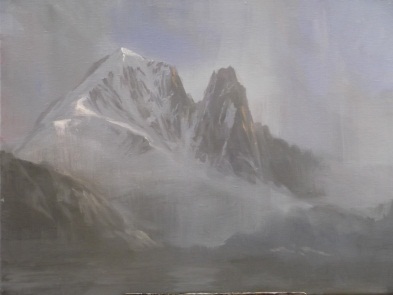 Tim is a mountaineer and landscape painter. 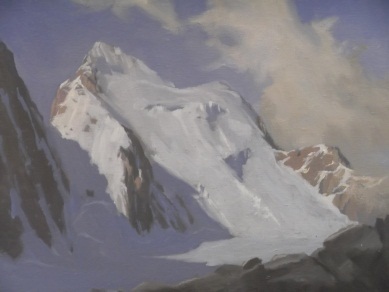 He is a member of the Alpine Club. The paintings can be viewed during AC London Lectures or by arrangement with the AC office (+44) 020 7613 0755 during office hours. An exhibition of works by Robin Collomb (8th April 1930 - 18th January 2015) will open with a Private View for Members and friends on Tuesday, 10th November at 6.30pm. This exhibition is curated with the participation and collaboration of his widow, Pam (Member AC) and his daughters Nicole, Stephanie and Michele. 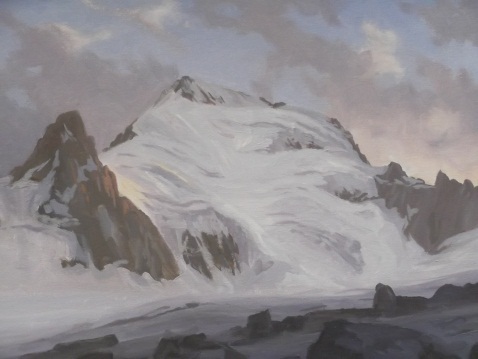 It will be followed by a lecture at 7.30pm by Julian Freeman-Attwood on the Great Mongolian Rescue. The exhibition will run until 19th December. Robin was well-known as a publisher and the proprietor of West Col. For many years he published the AJ and our AC Guidebooks. He was exceptionally well qualified for AC membership but refused to join to avoid any conflict of interest. To many people at the time, who only knew his name, he was a somewhat controversial figure because he actually made money from guidebooks! 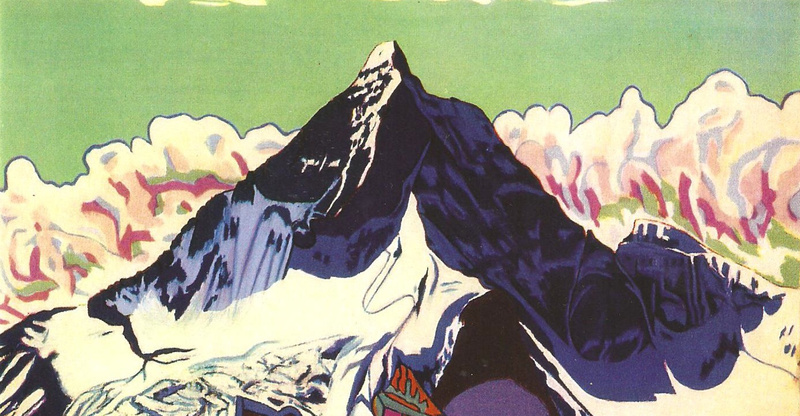 Almost everything Robin did, waking and sleeping throughout his life, had something to do with mountains. Few people knew that, years before, he studied at Central St Martins and was a considerable mountain artist, both in oils, pen and ink drawing and other media. He has left a stack of good and interesting material so this will be an fascinating and intriguing exhibition of works by a man whom many knew of, but few of us knew in person.